The Great Manchester Run is coming up on Sunday 22nd May 2016 so it's the perfect time for people taking part in the run to trial the new diet plan. 'Dr Schenker advises runners to top up their carbohydrate stores the night before the race with the 'pasta pomodoro' dish to deliver the last top up of glycogen to avoid 'hitting the wall'. After the race, she suggests Vapiano's rucola ravioli is perfect to restore depleted glycogen stores and help muscles recover'. I would say Vapiano is the perfect restaurant to go to before or after the run to top up on your carbs. It's important to balance your carbohydrate intake with plenty of protein and healthy food too so you should have a protein and veg packed breakfast, soups, salads and lighter evening meals. 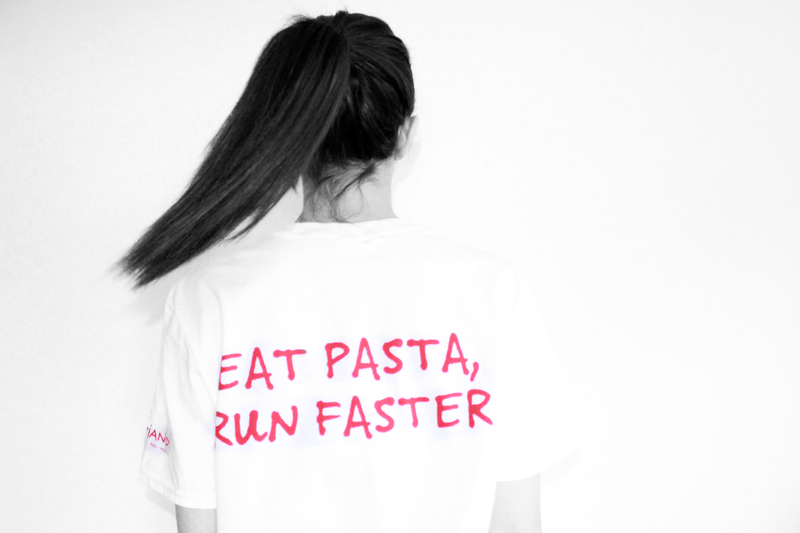 Of course, you can't forget the delicious pasta dishes from Vapiano for the carbs! Vapiano make the fresh pasta right in front of your eyes which makes it taste even more delicious than the regular pot of pasta from picked up on the go! You can take a look at the full Vapiano diet plan here! That sounds like such a great idea! Plus, love a bit of pasta, me.